Most of the movie blog world is full of contradictory positions. You can find people passionately defending “The Tree of Life” as a poetic masterpiece, whereas others see it as a self indulgent, experimental film with little plot, weak characters and the most boring use of fantastic photography you can imagine. There are people who love “Rogue One” and haters who see it as destroying the underlying concepts of the Star Wars films. With that diversity of opinion so widespread, it probably says something that “Cars 2” is universally despised as the weakest Pixar film ever. 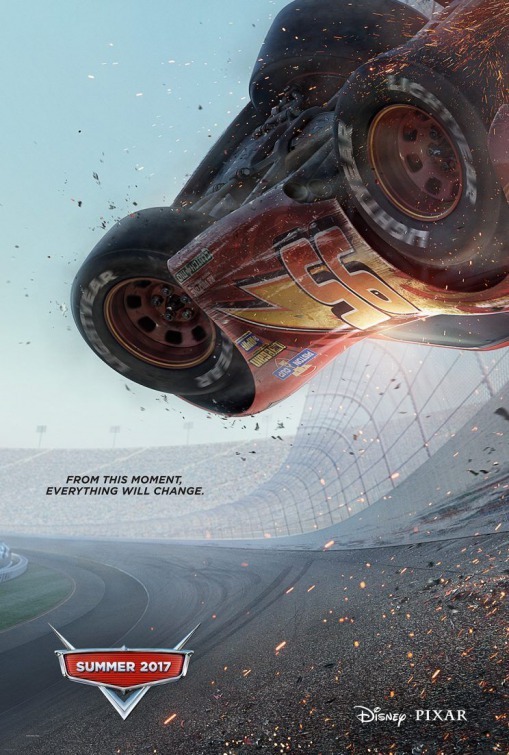 “Cars 3” is an attempt to restore the franchise to a more satisfying status in the film world. People who never liked “Cars” in the first place will probably not be moved, but, if like me, you loved the original film and hated the sequel, you will probably be happy to know that this movie largely works. As with the original film, there is a moral lesson to be learned here while you are enjoying the action and humor in the story. Very distinctly from the second film, the theme is not heavy handed, political and surrounded by silly story telling that makes no sense. “Cars 3” is an elegy of youth and old school practices. Maybe we can do things better and faster than we once were able to, but the joy of getting there is being lost and something important goes along with that. Lightning McQueen has had his time in the sun, but there is a turning point in our lives that everyone has to face. The question is simply, how do you hold on to your beliefs and dignity when the time has come? Anthropomorphic automobiles are a strange way to confront this concept, but they fit it so well. Everyone who likes listening to music on an LP played with a stylus, or watching a film presented on a Laser Disc, knows that they are out of time and place, but the appreciate anyway. There are two very positive things about how the story is handled here. First, while due acknowledgement is made to the secondary characters in the original story, they are mostly backdrop for this film. That means you will get far less Mater and Radiator Springs. The smaller dose of Lightning’s best friend is the biggest relief. Larry the Cable Guy should not be the lead character in the movie as he was in “Cars 2”. We get just enough to know that he is still a part of Lightning’s life, but that puts him on a similar level with the other Radiator Springs characters. Paul Dooley and Bonnie Hunt and Cheech Marin all reprise their roles. I did notice that Michael Keaton was not doing the voice of Chick, and that hurt a little, but for the most part the characters who make an appearance are satisfying. New characters played by Nathan Fillion, Chris Cooper, Armie Hammer and especially Cristela Alanzo are all effective at making the story feel a bit more fresh. The second positive in the characters is that we get a fitting exit for the late Paul Newman and his character of the Hudson Hornet. With just a few pieces of dialogue and some nice moments of recall, there is a more satisfying meaning in his characters absence. One more thing that the film does right is keep the story as closely tied to racing as possible. There are at least three big race segments and they work really well at building story and tension. As Lightning and his new trainer Cruz Ramirez put together a plan for his battling a new rival, we get a good transition story that shows us some of the themes that I mentioned earlier. We need to recognize that the world changes, and sometimes we have to adapt to those changes. Lightning is still the hero but everyone needs to be cognizant that he ain’t what he used to be. Owen Wilson’s laconic delivery and frustrated tone of voice manages to make these growing (old) pains feel more real than we should expect from a movie with talking cars. 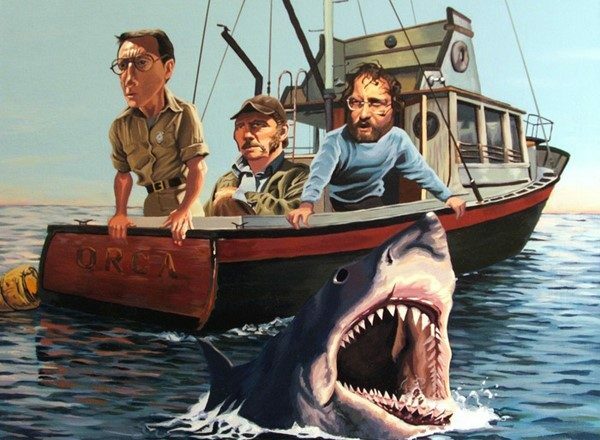 As is usual, even in those movies where the story has failed, the artistry remains. There are some amazing parts of this film that feel so photo real that you might wonder why they bothered to create those images instead of just directly filming them, Of course there are also several moments that could only existed in an animated world as well and they look pretty spectacular as well. The humor is not quite as strong as the original film, and there may be times when the little ones will feel a bit bored, but there is another race or visual gag coming so be patient. It may not move as fast as “Cars 2” but it is a lot more valuable Car Trip to take. Planning on seeing this over the weekend. Slant Magazine’s review gave it a relatively positive review for being more sports-themed than the original’s nostalgic car culture or the spy caper sequel. They stick to the race track in some form or other most of the time. I think you will enjoy.